Over the winter months we all feel so cold, tired and defeated by gloomy days, we don’t plan out much of our meals. We quickly fall into a routine of soups and ready meals, all washed down with endless cups of warm tea. But with summer just around the corner, we can pack away our coats and wellies and dig out our shorts and sunglasses (and perhaps make more effort with our meals!). Soon you’ll be able to sit out in your garden under the shade of a beautiful awning and enjoy eating your meals al fresco! There’s nothing more satisfying than eating fresh, homegrown vegetables especially when you’ve grown them yourself. Not only is it a great hobby but you’re also utilizing a space in your garden that’s not just for flowers and other plants. Just find a spot in your garden that benefits from a lot of sunshine and stock up on compost, and if you want to go pro a greenhouse can be a neat addition to your garden. 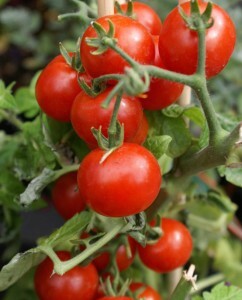 Some varieties need to be grown in a greenhouse while others can be grown outside. They can be bought as seeds or small plants from garden centres. Use canes or wire to train the stems and keep the soil well watered and fertalised while pinching out the tips of flowerless sideshoots. When harvesting cut the fruits when they are about 15cm long with a sharp knife. 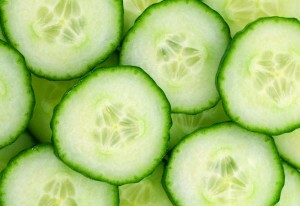 Cucumber is very refreshing and a great crunchy base for salad that adds texture. Many varieties to choose, from tiny cherry to big beefsteak! Depending from varieties can be grown from baskets or tied to vertical bamboo canes. Keep the soil moist and fertilize regularly (every 10-14 days). Don’t let the soil dry out and then flood with the water as the fruit can crack. Remove yellowing leaves and sideshoots. Harvest when the fruits are ripe and fully coloured. 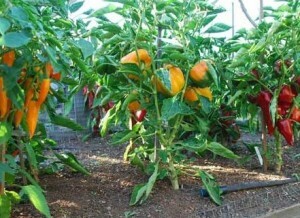 If any fruit has cracked the taste shouldn’t be affected, but left on the plant can be prone to fungus. 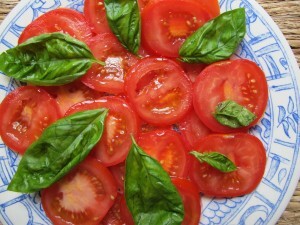 Adds colour and sweetness to your salad. Also a great addition to pasta dishes. Expensive to buy pre-packaged in the supermarket yet so durable to plant almost all-year round. Lettuce is pretty low maintenance; just water when the soil is dry and thin out seedlings until the plants are 30cm apart. Protect your plants from sparrows with chicken wire or something similar. Watch out for the slugs and snails, they love to munch your crop, but avoid using slug pellets, as they’re toxic to small children and animals if eaten in quantity. Everyone likes a nice beer, including slugs! Place beer traps near any vulnerable plants. 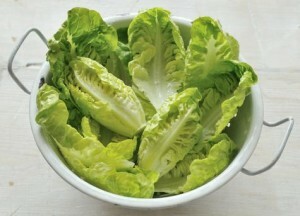 Be it a Little Gem or an Iceberg, Lettuce adds a sweet, crisp crunch to your salad! 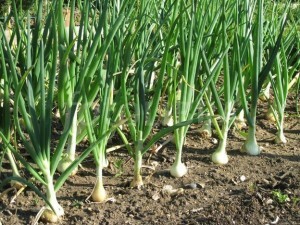 You can plant Onions in open ground, raised beds or deep containers, whatever is most suitable. Baby Onions or Sets should be planted in a sheltered but sunny area in your garden that has well-drained soil. You will know that they are ready to be harvested when the leaves begin to lose colour and flop over. Leave in the ground for about a fortnight to mature. The great thing about Onions is that they can be eaten or stored for a long time and can last you through the winter. To cure leave to dry for up to three weeks either in the sun or a dry shed. 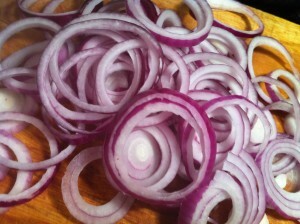 With full, bold flavours, Onions can add some tang to your salad and forms the basis of all sorts of recipes. Easy to grow and ready to harvest in four weeks, radishes are a great addition to your vegetable garden. Keep the soil moist and take care when planting in the hotter months due to the dry conditions. 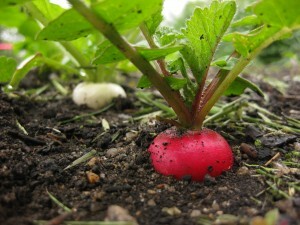 Because of radishes fast growing time, they can be used as a ‘catch crop’ in-between slower vegetables such as onions. 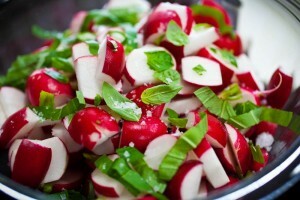 Radish can add a peppery taste to your salad as well as adding bright colour. 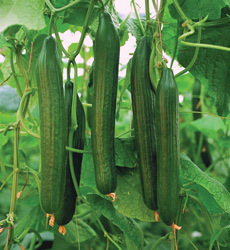 An ideal vegetable for anyone who is totally new to growing vegetables and can be grown in containers too. Best grown in well-drained soil it would also benefit from a bucketful of well-rotted garden compost. Water every 10 to 14 days during dry periods. Harvest alternate plants when they’re about golf ball size, leave the rest to mature to cricket ball size. The great thing about beetroot is that you can either eat them fresh or pickle them. 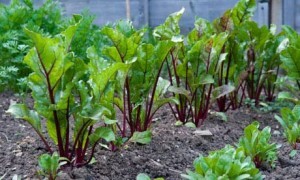 Clean the beetroot and remove any blemishes, leaving a bit of the stalk attached. Boil for 30 minutes and simmer the vinegar with your favourite spices for 10 minutes. 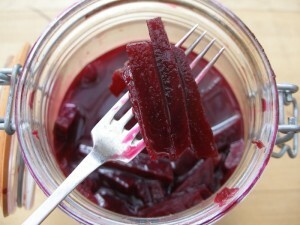 Remove the skins from the beetroot, slice and place in a sterilized jar with the vinegar. Voilà, Pickled Beetroot! 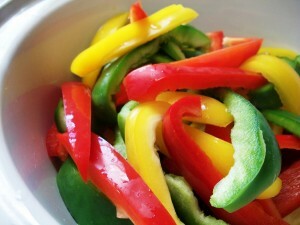 With many colours and varieties to choose from bell peppers can be pretty addition to your vegetable patch. You need to let the seeds germinate for a few days in a pot of moist seed compost and leave on a windowsill. Once seedlings appear and two leaves appear, remove the smallest leaf and leave to grow. Transfer to a bigger container when it has grown. As peppers are tropical plants they love the heat, so they’re ideally grown in the greenhouse. Once the plant has reached 20cm tall support them with a bamboo cane and keep well watered. As the first flowers appear feed weekly with feed such as tomato fertiliser. Use scissors to harvest the peppers and they can be harvested when they’re still green or left to turn red. The great things about pepper is that they are really sweet and crunchy. Plus they can add lovely colours to your salad. 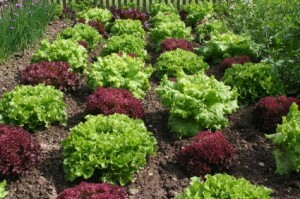 Hopefully, you will now be inspired to plant your own vegetables and to see your garden grow. And don’t forget by adding an awning to your home you can relax in the shade after attending to your garden or reap the benefits when eating your delicious salad! 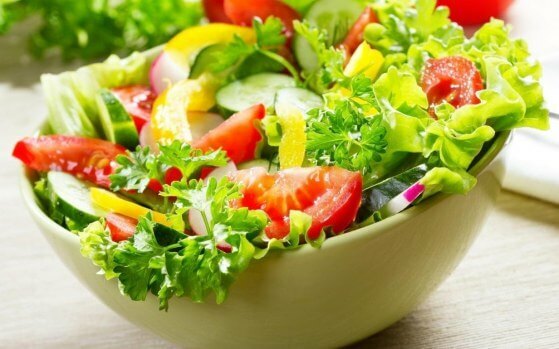 Enjoy your fresh salad and the summer sunshine!